Career Day is an opportunity for students to showcase all they have learned and researched. 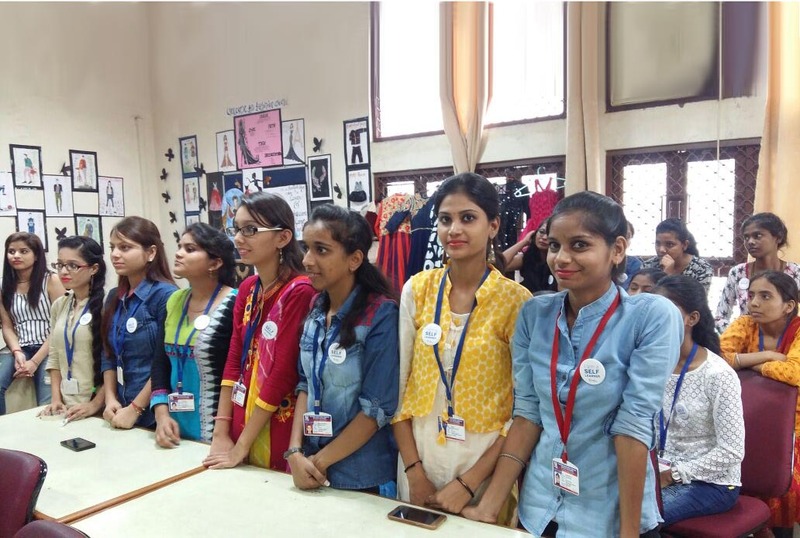 The students of the National Vocational Training Institute for Women in Noida held Career Day recently held their own Career Day. Career Day is a part of a youth employability project run with Bank of America-Merrill Lynch and Dasra along with the participation of 300 students. The students, prior to Career Day, conducted a market scan where they stepped out to meet local employers and interviewed them using a simple questionnaire to explore the world of work and find out about job opportunities. The market scan helped them gain insight into personal gaps and the entire experience encouraged them to work on equipping their professional skills in tandem with current trends. They also learned to make informed decision towards their career development. On Career Day, the students presented their findings which greatly assisted their communication, presentation and networking skills. The students were able to learn from each other’s experiences and build solid interview skills. Furthermore, Career Day gave these students the opportunity to connect with alumni and gain access to career counselors, who were available to speak to the students about their futures. The afternoon session consisted of mock interview sessions which were organized to prepare students for their upcoming campus placement interviews. The students were highly appreciative of this exercise and also signed up for their brief workshops to guide and build their career development.